Thanks to their Kohler EFI engines, the Z1 machines are both powerhouses and ultra economical, achieving fuel consumption up to 25% lower than that of engines with comparable performance - needing less fuel and less frequent refuelling saves you time and money. 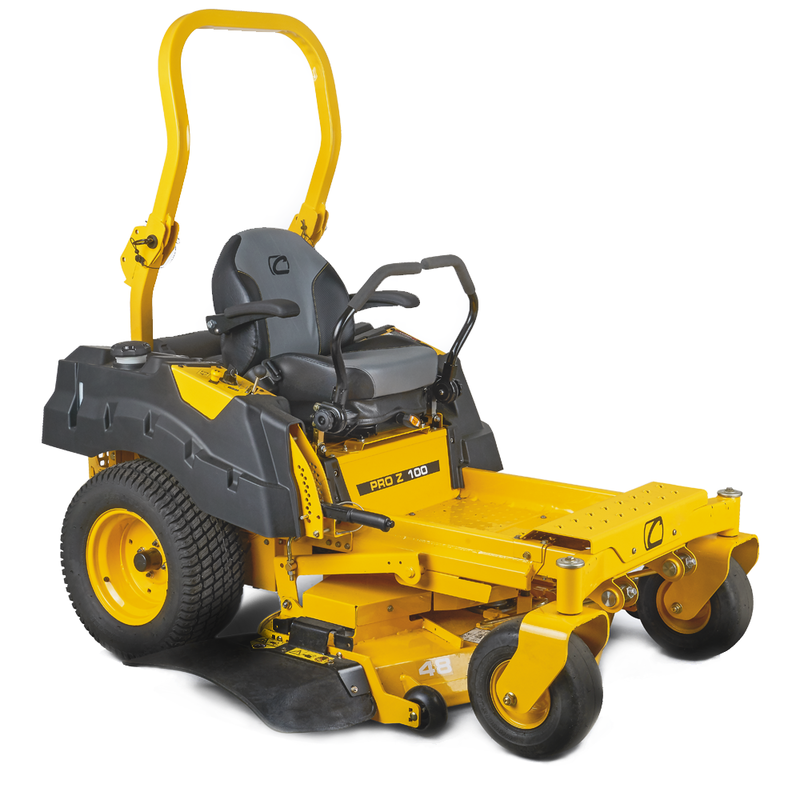 The extremely durable welded mowing deck helps you achieve professional level cutting performance. Choose between the lap bar technology of the new Z1 122 with its 48"/122cm cutting deck or the steering wheel and 54"/137cm cutting deck of the Z1 137. The Z1 machines make hard work easy. With unrivaled stability and precision control, there‘s no terrain the Z1 series can‘t handle. Four-wheel steering gives you more control and confidence on hills than ever before. By delivering a quality cut at angles other riders can‘t handle, it‘s easy to see what makes the Pro Series the smartest choice in commercial zero-turns. Unbeatable corrosion protection and durability provides twice the protection against unforgiving environmental conditions while ensuring even the most complex parts are thoroughly and evenly coated inside and out with an electronically-applied dual layer of eCoat and powder. With a fast speed of 9.5 mph forwards, the Z1 series is at least twice as fast as a normal lawn tractor, excelling in efficiency. 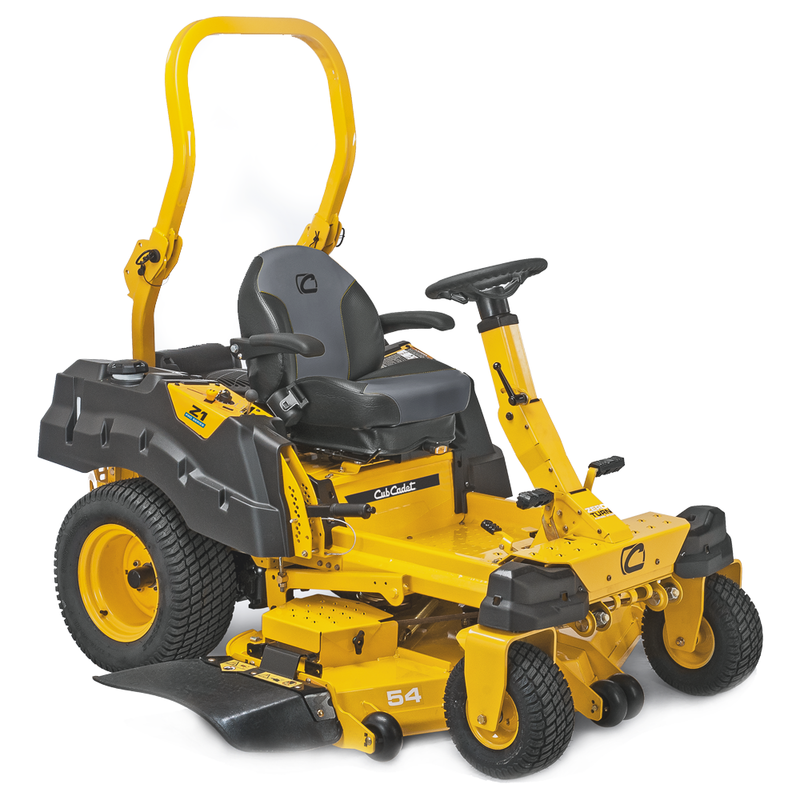 High-comfort seat, suspension and non slip controls guarantee safe and fatigue-free work. A welded cutting deck for endless power. The unique 360° turning circle technology helps you negotiate tight corners and obstacles easily.